This basic desktop calculator has a clear 12-digit angled display, with non-slip feet which stops it moving about when being used. The display shows the figures in black against a pale grey screen. The screen slopes upwards towards users which makes it very clear and easy to read. The Basic Calculator works on solar power and has a 1.5v battery (AA included) as a battery back up and has an automatic power-off. 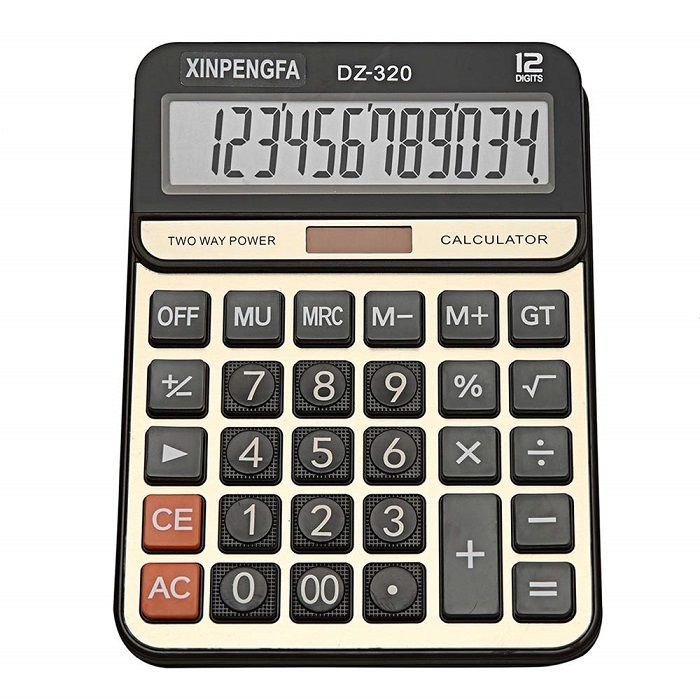 The calculator performs the major basic functions including addition (extra large key), subtraction, multiplication and division & percentage. The MU (Mark Up) key makes it very easy to calculate profit % margins. Large Keys The keys of Basic Calculator are large and it is not easy to hit the wrong key by accident. that needs make any sort of calculation from time to time. Perfect for office, school or home.